Editor: Sam Lung ► This brand new edition presents Béla Bartók’s Mikrokosmos, a progressive cycle of 153 studies for Piano, in a single volume for the first time. 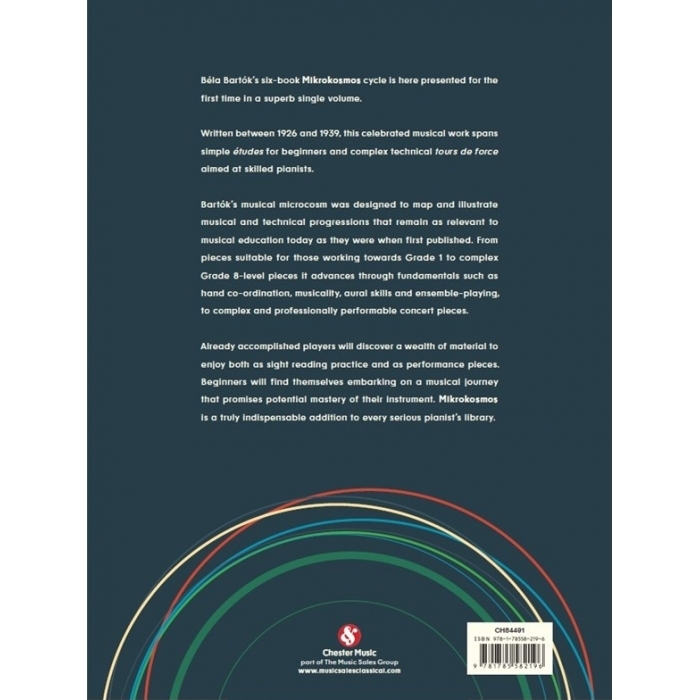 Designed to illustrate the musical and technical progressions suitable for beginner to advanced players, this complete collection is invaluable for every pianist. All six volumes of Mikrokosmos are presented here, exactly as the composer intended them. Featuring beginning études through to technical tours de force, this unique publication also contains an extensive introduction, Bartók’s original preface and photography throughout. The initial pieces consolidate a balanced technique ideal for students working towards Grade 1. 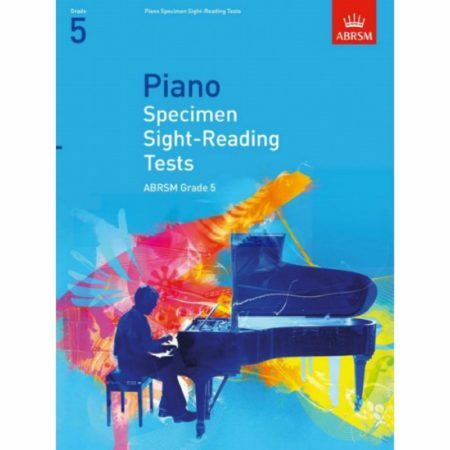 The cycle advances through fundamentals such as hand co-ordination, musicality, aural skills and ensemble-playing, taking the pianist to the complex Grade 8 level pieces found towards the end of the collection. 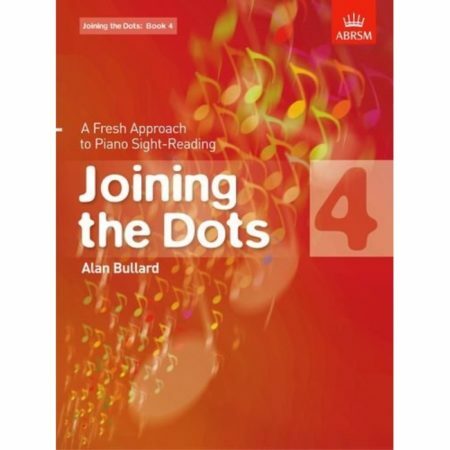 Already accomplished players will find a wealth of material to enjoy as sight reading practice and concert pieces, making this a versatile collection as well as an insight into the mind and work of a great composer. Mikrokosmos evolved from the Piano lessons that Bartók gave to his own 9-year old son. Studies were written on the spot for young Peter Bartók to learn by next time. 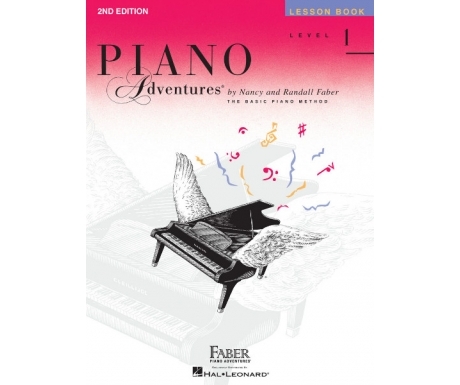 Over time, the 153 pieces took form, and they are collected here for beginner and advanced pianists to benefit from. 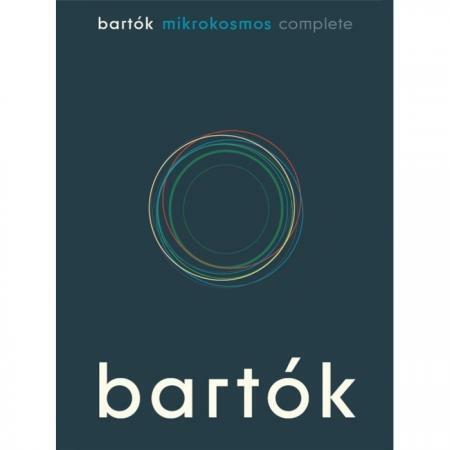 Mikrokosmos lets students and teachers explore Bartók’s endlessly imaginative and inventive musical world as they develop their pianistic skills.